By NNA Staff on June 28, 2011 - An Egyptian Notary was summoned to authenticate documents signed by the wife of Egypt’s former President Hosni Mubarak — documents that relinquished cash and property over to Egyptian authorities. By NNA Staff on June 28, 2011 - Can I notarize my wife’s signature? She is a CPA, and I am an accountant in her office. By NNA Staff on June 28, 2011 - Two California men were sentenced to life in prison for running an elaborate murder and real estate fraud scheme — a scheme that unraveled due to a thumbprint recorded in a Notary’s journal. By NNA Staff on June 28, 2011 - As Nebraska joins the growing number of states requiring notarized written permission for a minor’s abortion, Notaries in the Cornhusker state now face the challenge of remaining impartial has they handle these sensitive transactions. By NNA Staff on June 23, 2011 - Richard Bramhall is a Senior Vice President of Bank of America and Chief Title Officer and Regulatory Advisory Group leader for the Governance division of Bank of America Home Loans Closing Services. By NNA Staff on June 23, 2011 - I had to decline a notarization because the document that the signer brought in was incomplete. Should I record the details in my journal? By NNA Staff on June 23, 2011 - North Dakota will implement legislation that includes clearly defined new rules for eNotarization, personal appearance and refusal of improper acts. By NNA Staff on June 23, 2011 - A record of notarial acts protects the notarization process as well as the Notary, the signer, relying parties and the general public. By NNA Staff on June 21, 2011 - A recent ruling by the European Union’s highest court soon should make it easier to find a Notary throughout the continent, and the cost of notarial services will likely be reduced, according to official reports. 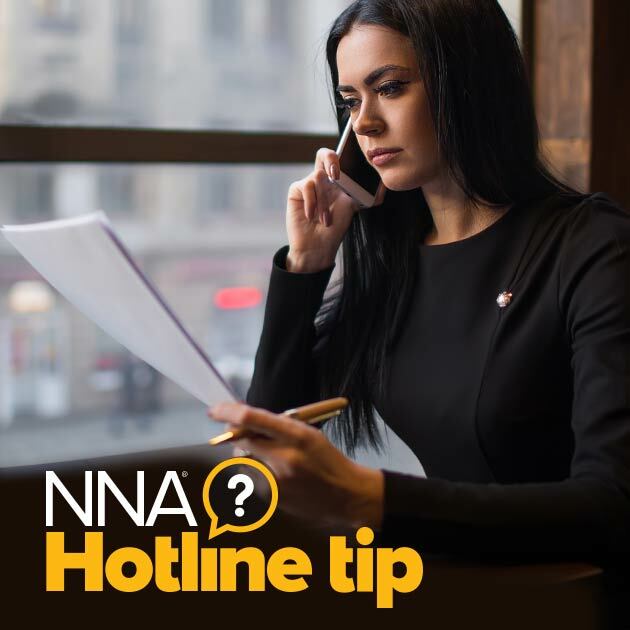 By NNA Staff on June 21, 2011 - Notaries are often asked by signers to “explain” or help complete government documents correctly when the instructions aren’t clear — not realizing that nonattorney Notaries aren’t permitted to advise signers about documents. But federal law taking effect this October may take some pressure off Notaries by requiring government documents to avoid ‘legalese’ and provide easier-to-read language and instructions to the public.